In 1999, I visited the Baltic State of Latvia in the north-east part of Europe. 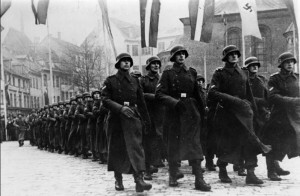 It was eight years after the collapse of the Soviet Union, which Latvia was forced to join in the 1940’s. And it was five years before Latvia chose to join the European Union. My visit was a snapshot of a country between Unions – Soviet and European. The story of my personal journey to Latvia appears on my other blog: ‘Latvia between Unions (Soviet and European)’. Below is my account of Latvia’s 60-year journey from one Union to another. Latvia has had a tortured history, with rarely any pauses between wars, invasions, occupations and rulers. In the middle ages, it was ruled by Germany, which founded its capital city of Riga. In the 16th Century the land fell under Polish and Lithuanian rule. In the 17th Century Sweden took over. In the 18th and 19th Centuries, Russia became its ruler. During this time, there was huge devastation, following Peter the Great’s ‘scorched earth policy’ and the plague, which together extinguished the lives of over half the population. As part of the Russian Empire in the 19th Century, there was an economic and construction boom. Railways, factories, schools, parks, boulevards and beautiful houses were built. Riga, the capital of Latvia, became the largest port in the Russian Empire. The First World War, from 1914 to 1918, brought desolation, as the country became a bloody battlefield between Germany and Russia. Germany took complete control, but lost it after they lost the war. The Russian Revolution of 1917 saw out the Tsarist rulers and saw in Soviet Socialist state control. Latvia made its bid for freedom, fighting off the Russian Soviets during the Latvian War of Independence. On 18 November 1918 – a date celebrated by Latvians every year – the Independent Republic of Latvia was declared, although the fighting continued until 1920. The UK supported the war and was the first country to recognise the new state of Latvia. In the years leading up to the Second World War, independent Latvia experienced dramatic economic growth, achieving one of the highest living standards in Europe. But its years of independence were to be short lived. 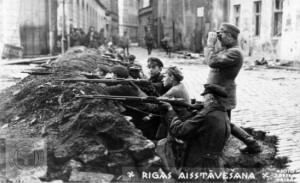 In the early spring of 1939, just months away from the start of World War Two, a menacing military presence was building in the capital of Riga. A growing anxiety spread among the citizens as they considered that, once again, their land might become sandwiched between the mighty armies of Germany and Russia. Their anxiety was not misplaced. At that time my father was a teenager on the run. His family had left their home country of Germany soon after Hitler and his fascist Nazi government came to power, to set-up a new life and home in Brno, Czechoslovakia. My father had gone to live in Helsinki in Finland to become a successful young salesman of mannequins to the leading department stores of Scandinavia. But with Nazi invasion of Czechoslovakia looking imminent, he hurriedly packed his bags to get home, leaving behind his cherished new skis. En route he arrived in Riga for an overnight stop, to see soldiers everywhere. At the border he was almost arrested for carrying a gun – but was released after closer inspection revealed it was a sports pistol. After a last reunion with his parents – who he never saw again – my father sought asylum in England and helped the war effort by joining the Czech Division of the RAF. (But more of that story another time). A secret Nazi-Soviet pact in 1939 brought a temporary respite from war for Latvia and its Baltic neighbours of Estonia and Lithuania, as by agreement with Germany these countries became part of ‘the Soviet sphere of influence’. But by 1940, these Baltic states were threatened by a mass invasion of the Communist Red Army of the Soviet Union, who demanded that these governments be replaced. Mock elections were staged, with the results being announced in Moscow before the votes had all been cast. Latvia then became a ‘Socialist Soviet Republic’ – put simply, an annex of Russia’s Communist Soviet Union. During this brief Soviet rule, some terrible atrocities were committed. During just one night of June 1941, over 15,000 Latvian citizens – described as ‘anti-Soviet elements’ – were arrested and deported to forced labour camps mostly in Siberia, where many of them starved to death. During this Soviet one-year rule of the Baltics, over 130,000 citizens were deported to ‘Gulag’ camps and settlements. Immediate plans to forcibly remove hundreds of thousands more citizens to Siberian camps were cut short in July 1941 when Germany invaded. 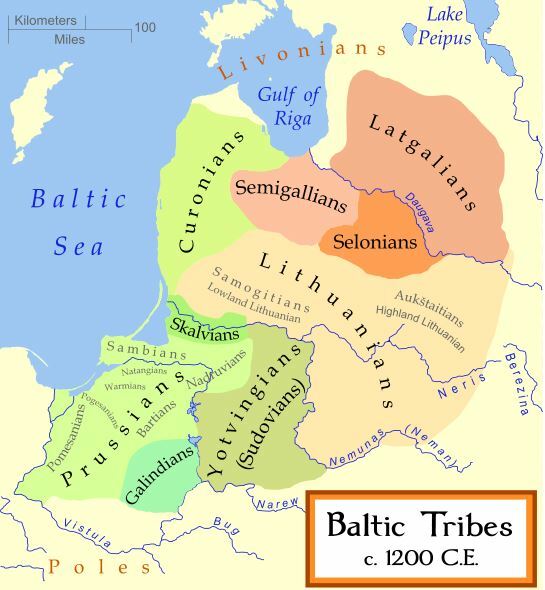 All the Baltic States then came under Nazi rule known as Reichskommissariat Ostland. 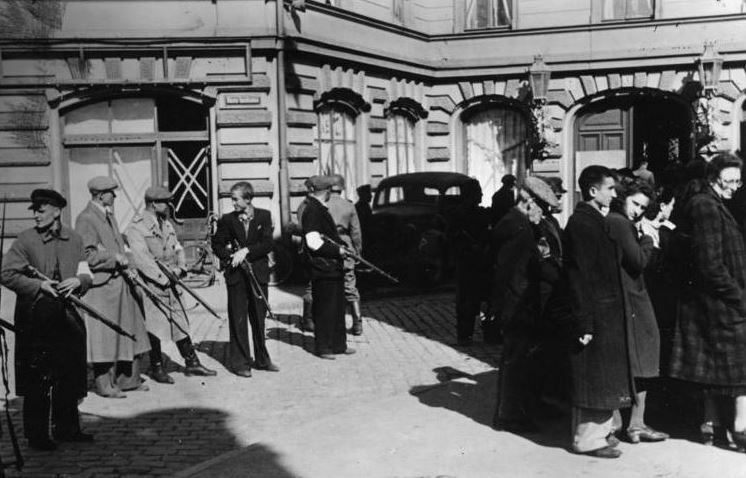 The new Nazi regime immediately started to round up Latvian citizens who were either Jewish or Roma. By the end of that year – 1941 – almost the entire Jewish population of Latvia was murdered. On just two separate days on the outskirts of Riga in 1941 – November 30 and December 8 – about 25,000 Jews were executed by the Nazis with the alleged assistance of local people, in what has become notoriously known as the Rumbula Forest Massacre. Over the next three years of Nazi rule, 90,000 Latvians were purposely killed, including 70,000 Jewish Latvians, and 2,000 Roma Latvians. In addition, over 200,000 young Latvians were mostly forcibly conscripted into the military. About half of them were killed in battle. 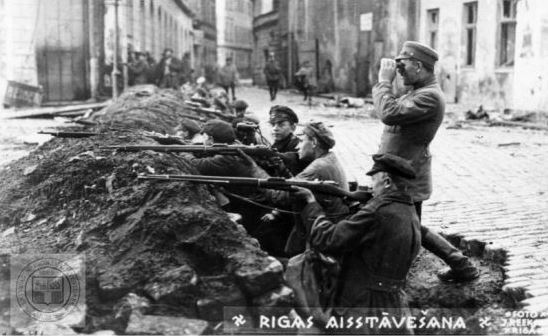 Many Latvians attempted to resist the Nazi occupation. Latvia once again became the theatre of bloody war between the immense armies of Russia and Germany. By 1944, Germany was once again defeated, and once again, Latvia involuntarily became part of the Union of Soviet Socialist Republics – or USSR. Deportations to Siberia were resumed upon the resumption of Soviet rule, even after the Second World War had ended in 1945. 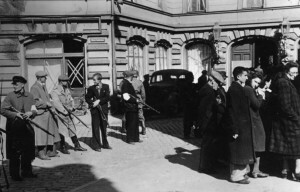 On just one day, 25 March 1949, some 43,000 Latvian citizens were rounded up and forcibly removed to Siberian concentration camps and settlements. This time, Soviet rule was to last for almost 50 years, during which Latvia would be cut-off from the ‘free world’ by an ‘Iron Curtain’, hermetically sealing the entire Soviet sphere of countries from the rest of the planet, which its citizens were no longer permitted to freely visit. Eventually, in the late 1980’s the totalitarian one-party Soviet rule started to collapse, and by 1991 Latvia was once again free to declare its independence as a nation state. 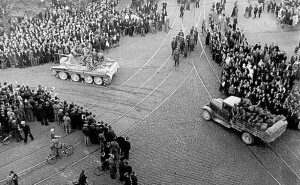 This ended 51 years of forced occupation and rule of Latvia by both Nazi and Communist regimes. Some argue – and I’d agree – that the Second World War truly ended not in 1945, but at this time, during the late 1980s and 1990s. Only then did the countries of Eastern and Central Europe win back their freedoms following the start of the Second World War. 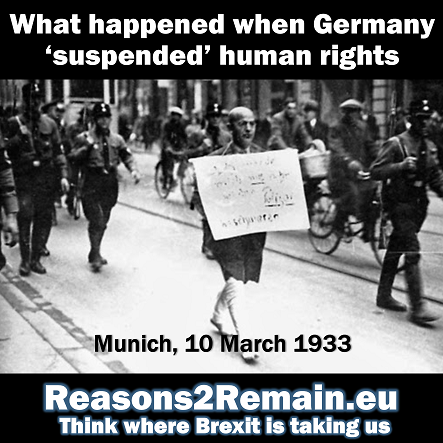 They’d seen off the Nazis, only to be taken over by undemocratic Communist rulers. For these nations, victory couldn’t be truly celebrated in 1945 as it was in Britain, but only five decades later. 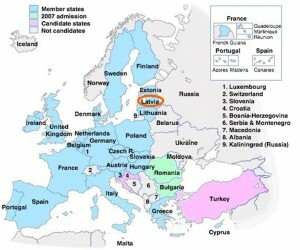 In 1997, Latvia was invited to begin negotiations to join the European Union. To be eligible, Latvia had to agree to several essential criteria of EU membership. These included democratic government; a commitment to human rights; a well functioning and free market economy, and acceptance of the rules and intent of the European Union, known as the Community ‘aquis’. 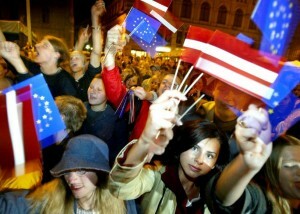 In 2003 Latvia held a referendum on EU membership. The NO campaign argued that Latvia should not give up the sovereignty it had recently gained from the Soviet Union. The YES campaign claimed that EU membership would give access to the valuable Single Market of Europe – the world’s richest and biggest – and to development aid. Also, it was argued, EU membership would protect Latvia from pressure from Russia. As the campaign progressed, support for EU membership grew. Over two-thirds voted for membership, with less than a third voting no. The turnout was 73%. 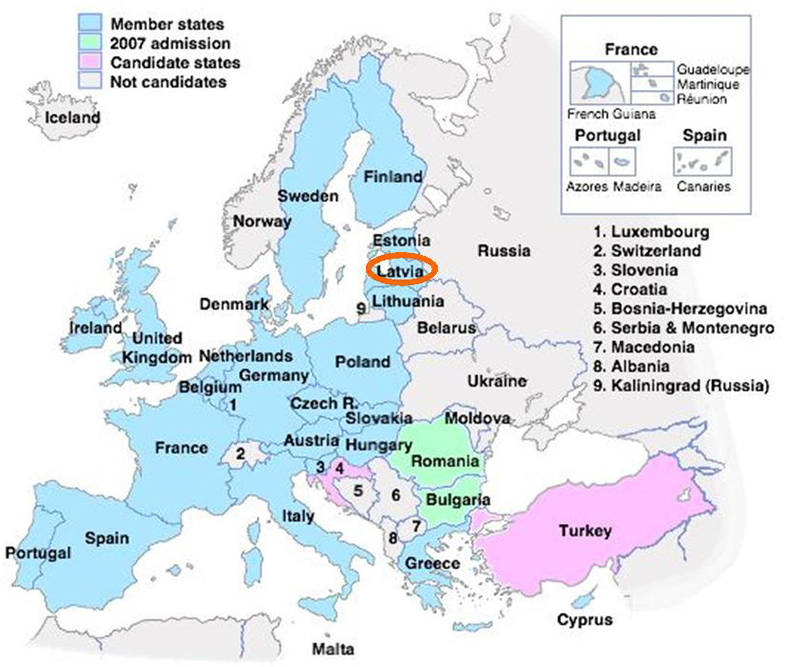 Latvia joined the European Union in 2004, along with seven other former Communist countries: the Czech Republic, Estonia, Hungary, Lithuania, Poland, Slovakia and Slovenia. In time, it’s anticipated that Latvia, and the other ‘lost countries’ of the last-half of the 20th Century, will be restored to their pre-Second World War eminence as leading and successful European economies. Of course, it may take time – but surely better to be patient and protective, rather than allow these nations to be lost to us again. Latvia has made a head start. Although it’s the third poorest nation in the European Union, and one of the smallest with a population of only around two million, it’s also now one of the fastest growing. Last year it notched up an envious 5% growth. The yoyo back-and-forth journey for Latvia from occupation to independence has been a long and tortuous one. In modern times, it’s involved the violent, forced regimes of oppressive Nazi and Soviet occupations that showed no respect for life or human rights. From that, Latvia has now expressed, by an overwhelming free vote, to be part of the European Union, that has human rights and democracy at its heart. The contrast between life under the Soviet Union or the European Union could not be more stark. In 1999, in the years between Latvia’s ending of its forced membership of the Soviet Union, and its voluntary membership of the European Union, I travelled to its capital city of Riga. My personal account and observation of my visit at that time appears on my other blog: ‘Latvia between Unions (Soviet and European)’. On 21 November 2013 there was a major catastrophe in Riga when a supermarket roof collapsed, killing at least 54 people. The disaster prompted the resignation of Latvia’s longest-serving Prime Minister, Valdis Dombrovskis, along with his centre-right government. 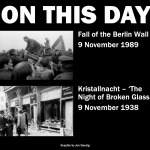 The tragedy involved the biggest loss of life since Latvia became independent from the USSR in 1991. There is currently a criminal investigation into the cause of the roof’s collapse. This is a terrible setback for Latvia; one of many in its long history. 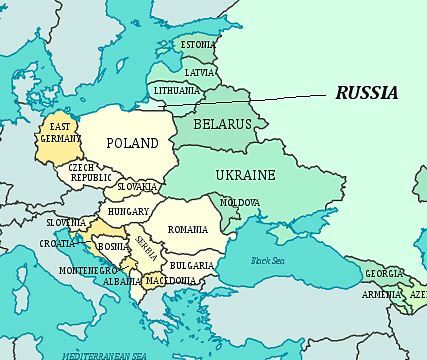 European Union or a new Soviet Union? Do we really understand the integration of Europe? This entry was posted in Current Affairs, Democracy & Citizenship, Economics & Trade, Global & International, Law & Justice, Politics & Public Policy, Security & Defence, Society & Culture, The EU, Uncategorized and tagged Baltic, Communists, Estonia, EU, European Union, EUSSR, Fascists, Holocaust, Jews, Jon Danzig, Latvia, Lithuania, Nazis, referendum, Riga, Roma, Rumbula, Russia, Soviet Union, USSR. Bookmark the permalink. Let’s remember also The Duchy of Courland and Semgallia 1562-1795 and duke Jacob who established a colony, Jacob’s fort, in Gambia, Africa, and later Tobago and Trinidad in West Indies. He established one of the largest merchant fleets of Europe with main harbors in Windau (Ventspils) and Libau (Liepaja) and exported from the colonies sugar, tobacco, coffee, cotton, ginger, indigo, rum, cocoa, tortoise shells, tropical birds and their feathers. From Latvia amber, corn, wax, iron, timber, linen and other goods were exported to Scandinavia, Netherlands, UK, Africa, India, America. I am going to end this exchange as it’s getting nowhere, and also, I strongly object to your use of the term ‘EUSSR’. This shows no understanding or respect for those people who truly suffered and were horribly murdered in their millions under the Communist and Nazi regimes. There is absolutely no comparison with the EU and the USSR. Such comparisons are reckless, childish and nonsensical. 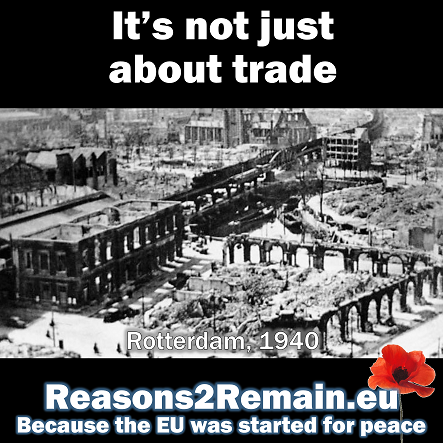 The EU has democracy, human rights and free market trade as the non-negotiable membership requirements for all members. All member states of the EU volunteered to join, and all are free to leave at any time. 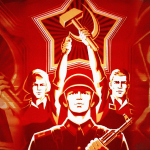 The USSR was not a democracy, but a one-party state. There were no human rights, or respect for life. There was no free market, but a state controlled one. Member states of the Soviet Union were forced to join, under threat of violence that was often used to bludgeon any member state that didn’t comply. No countries caught up the Soviet sphere of control were free to leave, until the Soviet empire itself collapsed. 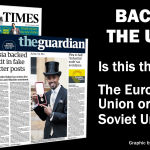 As far as I am concerned, any Eurosceptic that tries to claim that the European Union is the same as the Soviet Union has lost the argument, and in time, will lose the referendum.